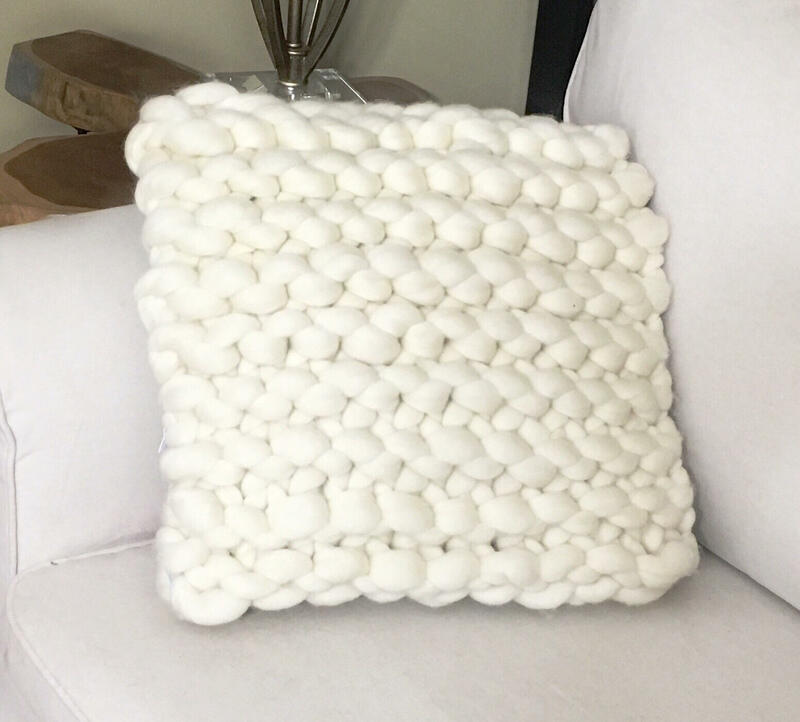 This listing is for the super soft 16 x 16 Merino wool pillow. 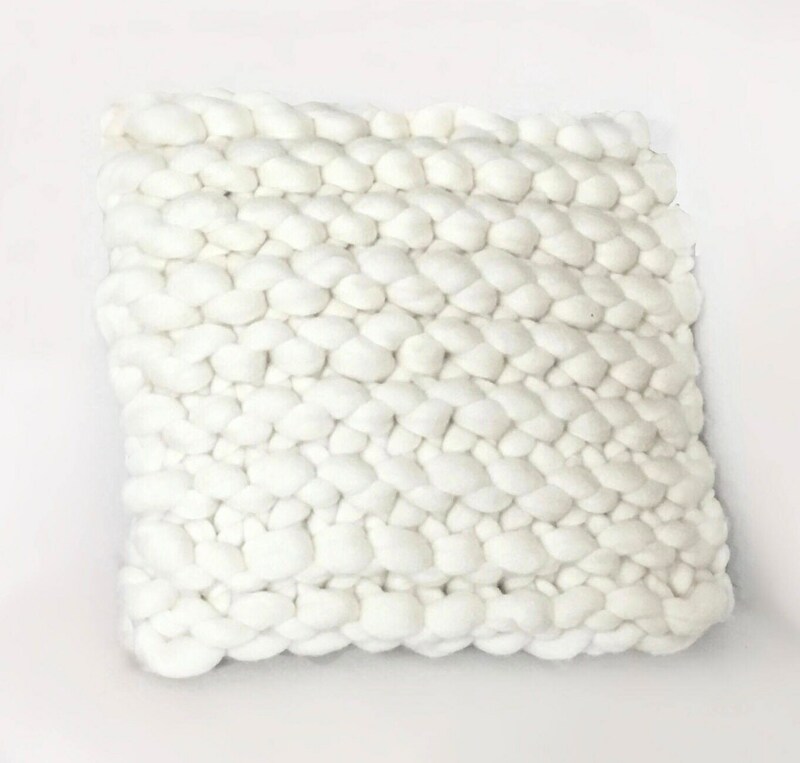 .................HAND KNIT from hand processed MERINO WOOL......this is ALL knit...a complete envelope of all hand knit decorative bulky stitch...a lovely cocoon of softness, ALL AROUND ......closed inconspicuously for easy removal for dry cleaning or hand washing. 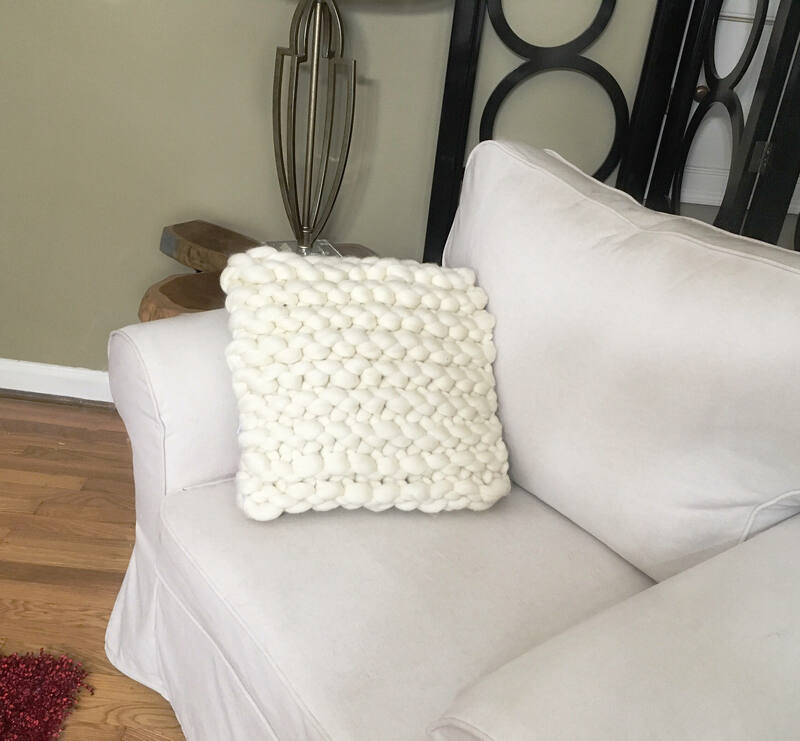 Filling: Premium pillow form...Its 100 percent polyester interior oozes softness and offers you solace after a busy day at work. 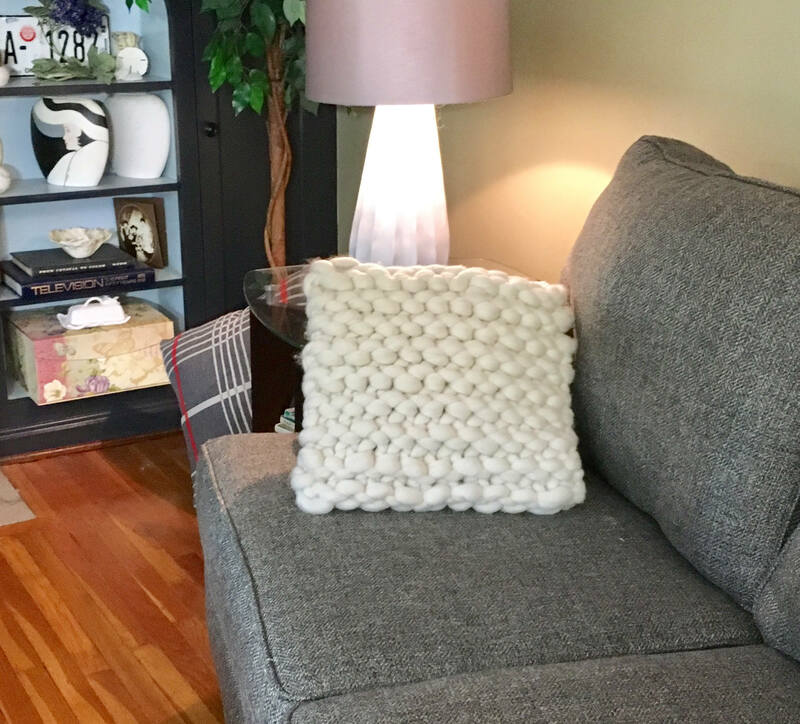 Pillow sizes are based upon the size of the pillow insert used. The actual pillow will be somewhat larger of this quoted size due to the chunkiness of the wool. Usually, an 18 inch pillow form will result in a larger final dimension. Complete and ready for a home.